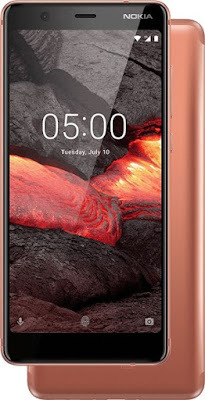 HMD Global, has announced and continued to rapidly renew its portfolio of Nokia Android smartphones Nokia 5.1, Nokia 3.1 (variant: RAM/storage as 3GB/32GB) and Nokia 2.1 in India. The brand Offering the latest Google services, such as the Google Assistant, continues with a pure, secure and up-to-date Android experience with Android One and Android Go. These phones of Nokia combined with the premium design and craftsmanship. Nokia 5.1, Nokia 3.1 and Nokia 2.1 will be available 12th August onwards across top mobile retailers and online on Paytm Mall and Nokia.com/phones. If you are looking for one of these smartphones to grab then find their price and features detail. Nokia 5.1 price: INR 14,499. Nokia 3.1 price: INR 11,999. Nokia 2.1 price: INR 6,999. All these smartphones will be available to buy from Aug 12, 2018. Please note, we would publish the features and technical specifications of the Nokia 5.1, Nokia 3.1 and Nokia 2.1 smartphones, later. Stay tuned. Tips: They are some of the best smartphones to buy and enjoy.